I'm currently using this on 1.7.9. It was working fine for a few weeks and recently the playtime is freezing up until we force a restart. We rank with playtime on our server so this is really important to us. Do u plan on updating this plugin or recommend any plugin similar to this one but in 1.7.9.? Thank you. Plugin counting time at skyblock world. Why is that? Is it possible to track playtime per world? My events are not working, do you have any idea why? Just connected this plugin via MySQL across a couple of servers. Have to admit works well, better then any time checking plugin out there. Quick question, when UUID Support becomes available, will it auto-convert your MySQL database? 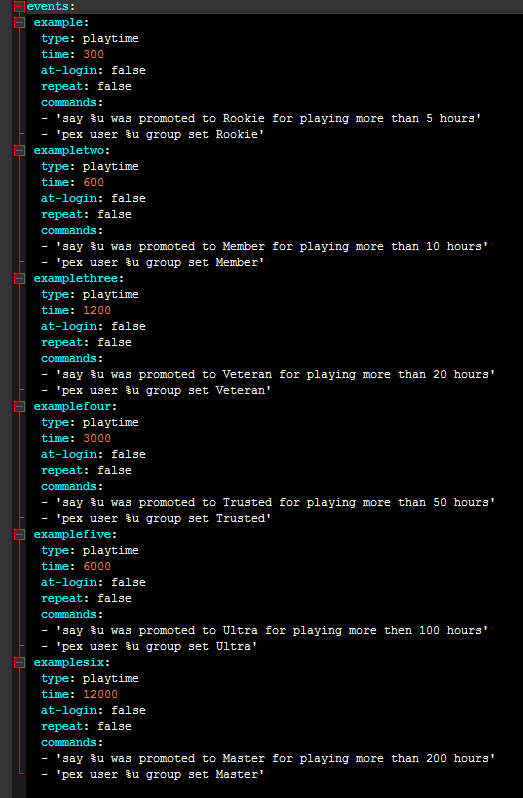 As a note: My finals just ended, so you can soon expect Playtime 1.5.0 with UUID support, as well as Playtime 2.0.0 a little farther in the future. This already works with that if you use a central mysql database. hey man. Amazing plugin! Tho i am in search of some plugin that automatically ranks players after an <amount of time> to a <rank> is there any chance you can add this in? can u make BungeeCord version? Why switch to UUID?, also one way you could accomplish that is by editing your sql database, which I think there might be plugins to do that within the server. Its not the easiest way but itl work for now. The reason it would be very useful to allow reset/add/remove playtime is for staff purposes such as when a player is banned, and pays for an unban, a punishment could be his playtime reset. And, another reason for it is if someone donates to buy a rank, I need to add playtime to them so their playtime matches that of someone who would have that rank since they bought it. Please, I really need this update, it would be very useful and helpful! Also: (VERY IMPORTANT) - Switch to UUIDS! /playtime will be their total accumulated time. For what purpose? You can potentially just disable their ability to check it. Unfortunately this is slotted for Playtime 2.0.0 (event exemption). The event system isn't entirely functional at the moment, so I'm re-vamping the plugin entirely. What purpose would this serve? I mainly don't put this in as people complain it's abusable, and the times are meant to be representative of certain times. 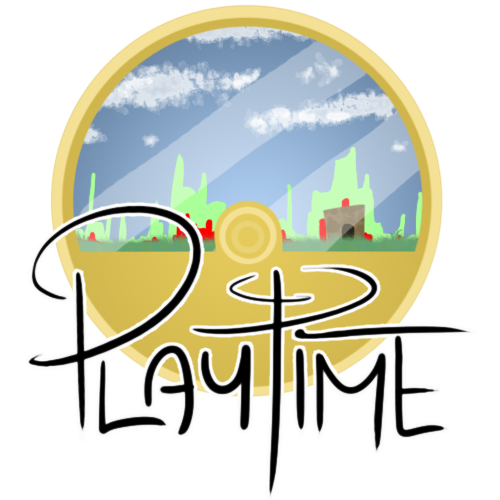 I was contemplating a new system with Playtime 2.0.0 for allowing custom timers, however. I'm sorry but is there anyway to make it so only certain player/groups are tracked? What would be the command to find a player's total time on the server since they first joined? Unless I'm misinterpreting this, I thought it meant how long they've played since their join date. I have a rank called veteran that people can earn by playing for 7 hours. I also have donator ranks. People that donate before reaching 7 hours will later be made the 7 hour rank after they reach that. Is it possible to make it so playtime commands wont affect certain ranks? PLEASE make it where you can reset a specific players playtime? Or add playtime to a player? I really need these badly. I don't use MySQL but this is vital to my servers rank system! I might even donate if you add this that's how important this is (Make it a command)! I have a rank called veteran that people can earn by playing for 7 hours. I also have donator ranks and donators that donate before playing 7 hours, will later be made the 7 hour rank after they reach that. Is it possible to make it so playtime commands wont affect certain ranks?